Nearly two million Medicare beneficiaries are re-admitted to the hospital within 30 days of discharge every year. A slate of new programs is hoping to bring that number down. Photo by Christopher Furlong/Getty Images. The other part isn’t so simple. Tollins is part of a group called PACT at Beth Israel Deaconess Medical Center. It stands for “Post Acute Care Transitions,” which in practice means that patients like Tollins who find themselves in and out of the hospital frequently are monitored closely by a team of nurses and pharmacists between visits. The hope is that making sure these “frequent flyers” take better care of themselves — taking the proper medication, exercising regularly and connecting with appropriate services outside of the hospital, among other steps — will translate to better health, fewer readmissions and, ultimately, a reduction in the nation’s runaway health care costs. As Bowser reports on Friday’s NewsHour, nearly two million Medicare beneficiaries are readmitted within 30 days of discharge every year, which costs Medicare $17.5 billion in hospital bills. And while new programs like PACT are helping to bring down those rates, government officials are hoping that a new program under the Affordable Care Act will add an extra boost to those efforts by imposing stiff financial penalties on hospitals with high readmission rates. Will the new policy instigate much-needed reforms nationwide or simply harm safety net hospitals serving a high number of low-income and elderly patients? Tune in for Bowser’s full report. In the meantime, there are specific steps you can take to avoid a readmission next time you or a loved one are transitioning home from the hospital. Below, Dr. David Goodman, co-principal investigator for the Dartmouth Atlas Project, offers his top seven tips. 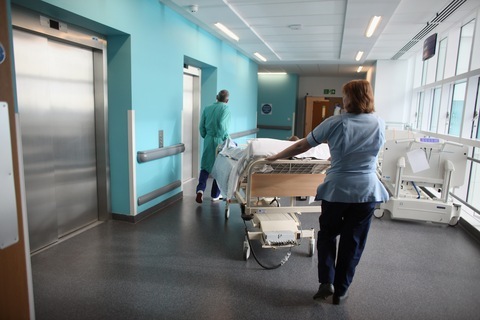 Many return visits to the hospital could be avoided if doctors and nurses coordinated patients’ care better and if patients, their caregivers and hospital staff did a better job of planning for the day the patient leaves. Before leaving the hospital, make sure to ask your doctors and nurses if the hospital has special planners who can help you prepare to leave the hospital. Work with the hospital staff so they know the name of the doctor you see regularly. This is often your primary care provider. Ask if the hospital will be calling your regular provider to inform them when and why you were in the hospital. Ask them to give the results of any tests or other relevant information so your regular provider can better understand how to continue your care. Being in the hospital can be overwhelming, but it’s important to understand why you are in the hospital and exactly how to care for yourself after you leave. Ask your doctors or nurses to explain what they recommend, including medications and follow-up visits, after you get home. Make sure you understand the doctor’s written instructions. Ask questions if you don’t understand something! Sample discharge checklists that can help you ask questions are available from the Robert Wood Johnson Foundation or the Centers for Medicare and Medicaid Services. What you will do if you have a medical problem in the middle of the night. Ask for copies of the discharge plan for yourself, your primary care provider, any specialists (such as a cardiologist), and your loved ones. Sample discharge plans are available from the Robert Wood Johnson Foundation or the Agency for Healthcare Research and Quality. Problems with medications are often the cause for returning to the hospital, so it is important to take extra time to talk to your doctor or other appropriate staff about your medications. It’s important to understand what medicines you should take after you leave the hospital and when you should take them. If you were taking medications when you were admitted, you should work with the doctor, nurse, or pharmacist in the hospital to understand which of these medications should be continued and which should be stopped. Make sure that you have a written medication list before you go home. Having a family member or loved one help you when leaving the hospital can make it easier for you to get better after leaving the hospital. By being in the hospital room when the doctor is explaining things or giving instructions, your loved one can understand how to help you get better once you are home. Make sure your loved one has a copy of your discharge plan, including a medication list, and talk about it with them. Follow-up appointments with a primary care provider or a specialist shortly after leaving the hospital reduce the chance that you will need to go back to the emergency room or hospital. Be sure that you have an appointment for follow-up care before you leave. It’s important to attend your follow-up appointments with your regular providers, even if you start to feel better. Bring your discharge plan to your appointment, including a list of all your medications and test results from the hospital in case your doctor does not get the information from the hospital. The problem of repeat trips to the hospital occurs nationwide, but it happens more often in some parts of the country than in others. In a recent report, we found that in 2010, nearly one in eight Medicare patients who went home after surgery ended up back in the hospital a second time within a month. But in some areas of the country, more than one in six patients returned to the hospital within a month of surgery, while only one in 13 patients were readmitted in other areas. To learn more about how hospitals coordinate care for patients when they leave, look at the map showing how often patients were readmitted in your area, and read the report on hospital readmissions Dartmouth Atlas released earlier this year with the Robert Wood Johnson Foundation.